No more high speed compression spikes and no more bottoming with the optional ABS system. Open Bath Cartridge system for better lubrication, smoother action and virtually maintenance free. 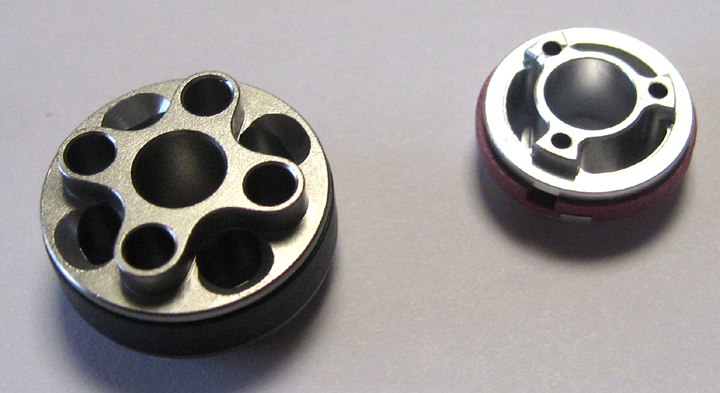 Includes the 20 mm Cartridge Damper Kit Insert and fork cap adaptor. Self install kit, user serviceable and revalvable. Talas travel positions are still functional as only the damper side is modified. Weight grams 238 grams plus oil. (Fox Fit RC2 Cartridge - 266 grams filled with oil). For older Fox 36 2005-2010 Float, Talas, Van models with rebound adjuster on top of fork, this will be used to adapt to our cartridge. 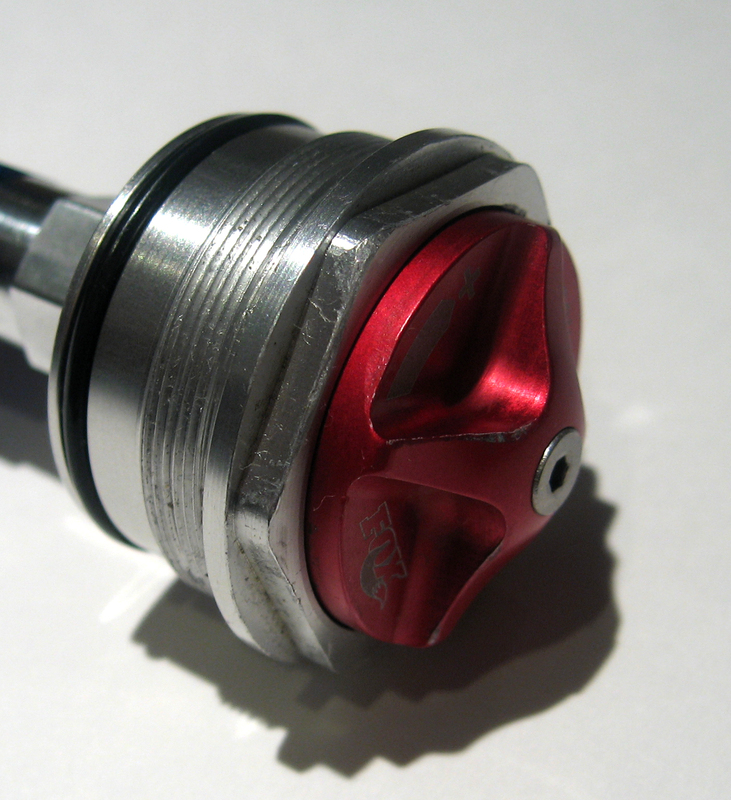 If your fork is a 2011-2014 model with a compression fork cap you will need to order the rebound cap from Fox. See below. Need us to install it for you, just send your fork to us and we will install it for $100 including Spectro 85/150 oil. *Self install kit assumes good working knowledge of internals and service procedures. Need to have us install it for you? 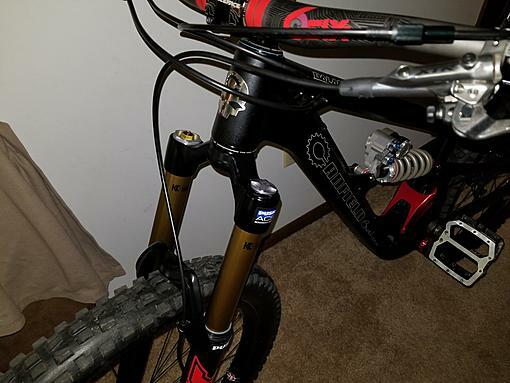 Ship your fork to us and we can install it for $100 plus shipping, includes Spectro 85/150 oil. on the 36 as I was not expecting this to make such a big difference. Night and day difference on small bump stuff. The front simply floated over those small rocks and roots. I could feel how the fork was not fighting back as much as before where I had to push through much more. Also more consistent behavior through fast rough sections and handled flat drops and jumps really well. Literally nothing was harsh. Excited to try it out more. Did not notice the added weight today either. Only available as an open bath cartridge system option with ABS. Only available as an open bath cartridge system option. Choose your fork year that the cartridge will be installed in. Choose your fork travel (mm) that the cartridge will be installed in. For Talas forks choose the travel you want the set-up optimized for. Choose your fork wheel size that the cartridge will be installed in. Vorsprung Smashpot - Fork Coil Conversion System does not require our ABS system, it is provided as part of the Smashpot design. Push ACS3 coil conversion kits are compatible with our cartridge. In order to make the overall spring rate as linear as possible we recommend the minimum or no ramp pressure. We recommend that you may need to purchase the next stiffer spring for your weight because no addition spring rate will be generated by the ramp up system. We prefer to control bottoming with the use of our optional ABS on the damper side. This will create a more linear spring system without any mid to end stroke ramp-up and will improve deep square edged hits, better control on jump faces, it should be noted that rebound damping cannot properly compensate for progression in spring rate. Adding our coil conversion system or another coil conversion system will improve your fork even more! 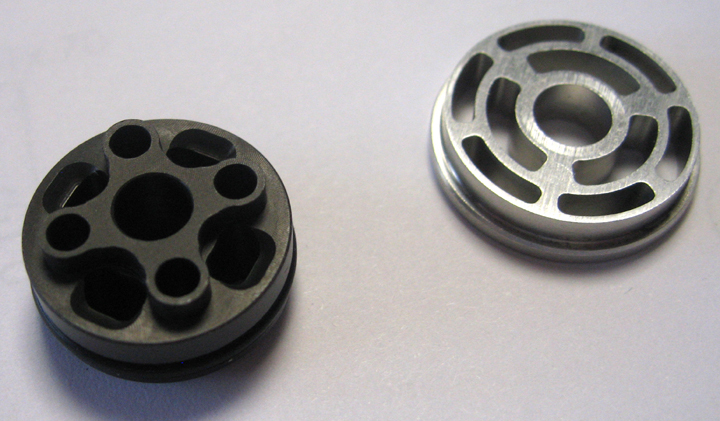 Choose the spring for your weight that gives you 22% sag with 5-8 mm of preload. This will create a more linear spring system without any mid to end stroke ramp-up and will improve deep square edged hits and better control on jump faces. The reason you are buying the coil system is to improve the feel of the air spring system and eliminate some of the maintenance issues. The coil will reduce the stiction and smooth out the drag in the beginning of the travel. With the stock damper the compression is too harsh and has to be setup very soft to feel acceptable, since you are converting to coil the tokens will not be able to be used to stop bottoming, Push has designed an end of stroke(last 1/3) to add this progression back into the spring system to allow the rider to create ramp-up to assist the linear coil system from bottoming. This air system is adjustable and is essentially not needed or will be set to 0 psi with proper damping system that we are producing, we are trying to make the fork feel as linear as possible with either the air system, ie no extra tokens needed or with a coil system no air assist system needed. As with all Motocross bikes and most of the early MTB coil forks they used larger amounts of oil in the fork spring side and this height of the fork oil could be varied to create progression. As forks were made lighter this oil was eliminated from the coil leg to save weight and the damper side created all the progression needed or the damper side provided a hydraulic anti-bottoming system, as with our open bath damper design can do. Remember long before air forks were designed to work well, coil forks ruled the planet and we originally designed our cartridge for these coil systems, nothing new here! "I've posted this already but will again. I have a 2017 Fox 36 with both and it's fantastic. A "TRUE" set it and forget it setup. Some say it's not designed for the Avy as it's a open bath damper. Yes, that's true... the Air bump stop part of it anyway. The rest... a fantastic coil system that works perfectly with the Avy Damper. I just run 0 psi in the ACS-3's air bump stop as I have the ABS option on my Avy. I've tried it with air in the ACS-3's bump stop with the Avy's ABS option removed and it still works awesome as well but I prefer to not have to deal with air pressure at all. I'd get both again in a heart beat." Also compatible with Smashpot coil conversion kit. Your 2005-14 fork must have this kind of fork cap for your fork to fit our cartridge. 820-05-093-KIT 2011-14 160mm approx (33.8 mm x.80 x 7). Required for inverted FIT damper replacement, i.e. forks with compression on top. 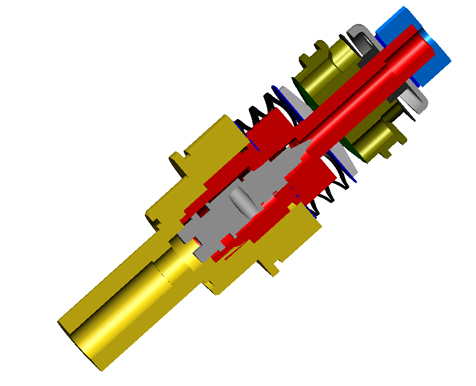 A larger (20mm vs 15.5mm) 4 port rebound valve that has more low to midspeed transition control and optional high speed shim configurations for different spring rates and rider conditions. A midvalve with user tunable shims/valving that provides anti-dive feature while still blowing off without low speed harshness on small bumps. 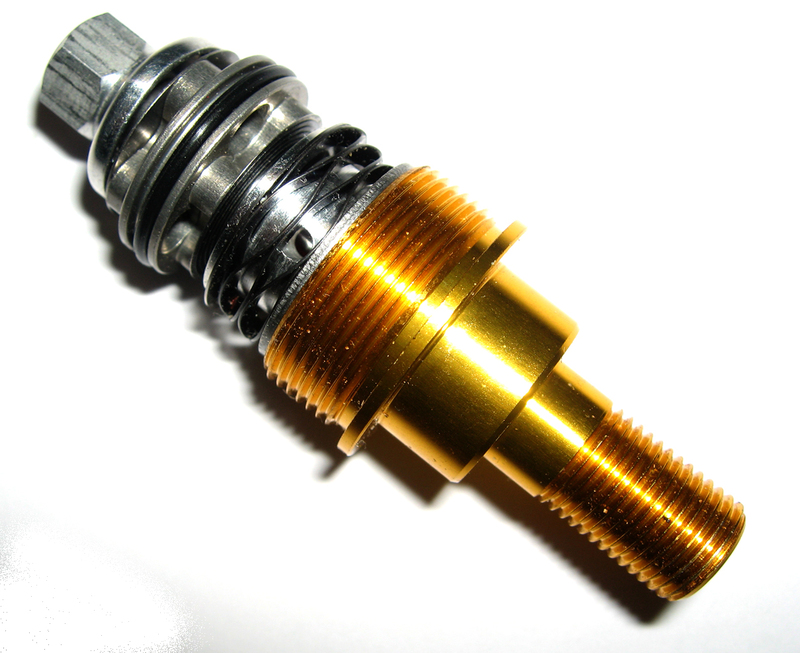 The same DHF proven design (20 mm) 4 port compression valve with optional revalving charts and shims available to fine tune your fork for your individual riding conditions and ability. User serviceable, all parts are available here at Avalanche to service or modify the internal set-up. Revalving kits can be purchased from Avalanche or any suspension tuning shop that carries standard 6 mm shims. 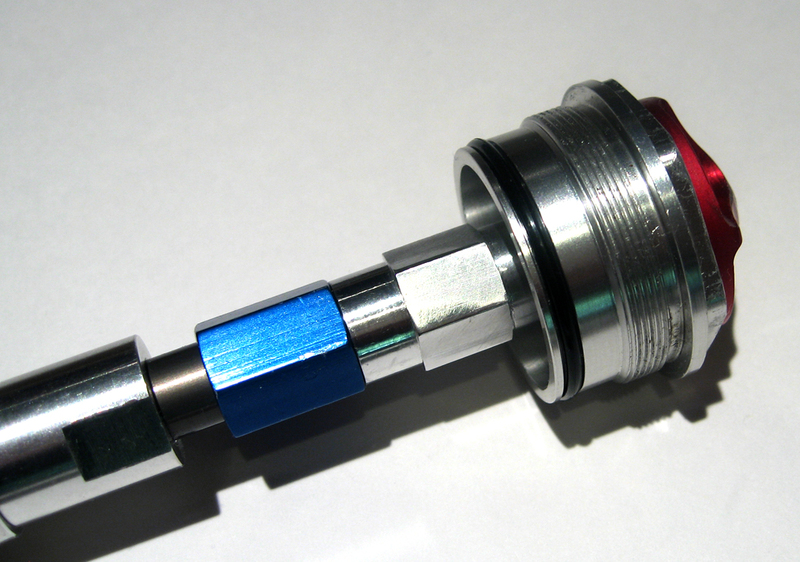 but also creates mid and low speed harshness in the damper. The original RC/RC2 large compression adjuster protrusion at the bottom of the fork is eliminated and cleanly redesigned.